When I was younger, I played a lot of Grand Theft Auto San Andreas. I would also use a lot of cheat codes while playing the game. If a mission was too hard, I would cheat. But I would additionally use some of the silly cheat codes to cause mayhem and have fun. This ended up breaking my playthrough of GTA San Andreas and I didn’t even realize it until it was too late. As I learned later on, if you activate certain cheat codes at certain points in the game or before specific missions, you can accidentally screw yourself. My specific screw up happened when I activated a cheat code called “Pedestrians Riot.” The code, as the name implies, forces all pedestrians in the game to start fighting each other and the player. Players, including myself, would sometimes activate this code and pretend they were in a zombie apocalypse. If you activate this or other potentially buggy cheats and play for a bit then turn the PS2 off, you won’t have any problems. But if you activate one of these codes at the wrong time and then save your game, you might just permanently ruin you save. This is what happened to me. At some point before the mission Mad Dogg, I activated the riot code and saved my game. I then reached the mission, which is well into the second half of the game. 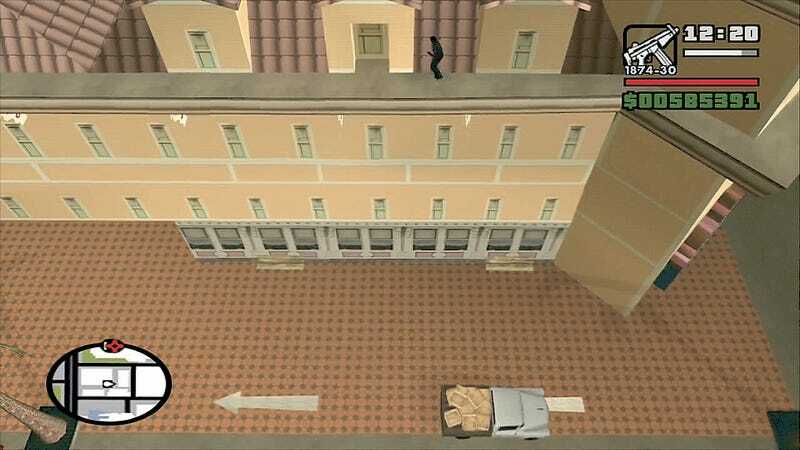 In this mission, a rapper named Mad Dogg is trying to jump to his death from a building. The player needs to steal a nearby pickup truck and catch the rapper to save their life. Problem is every time I tried this mission I would fail, as Mad Dogg would jump off the roof instantly and I didn’t have enough time to save him. It was frustrating. I spent way too much time trying to catch him or anything else I could think of. Nothing worked. Where I lived I didn’t have easy access to the internet. So I had no idea what was going on. Months later, after I had already given up and loaded a different save from earlier in the game and got past that point, I found out why my game had broken. It turns out that mission becomes bugged and impossible to beat if you activate the riot code and save your game at any point before starting it. The reason is that Mad Dogg spawns in the mission as a pedestrian and activating the riot code, even before the mission, screws him up and causes him to jump. Other San Andreas missions that would break if players used the riot code include 555 We Tip, Burning Desire, and Tanker Commander. These aren’t the only missions or events in GTA San Andreas that can be broken by a cheat code. In fact, many can become much harder, impossible or instantly fail if you cheat. The website GTA Boom posted a list of some of the other potential side effects that can occur if you cheat in San Andreas. 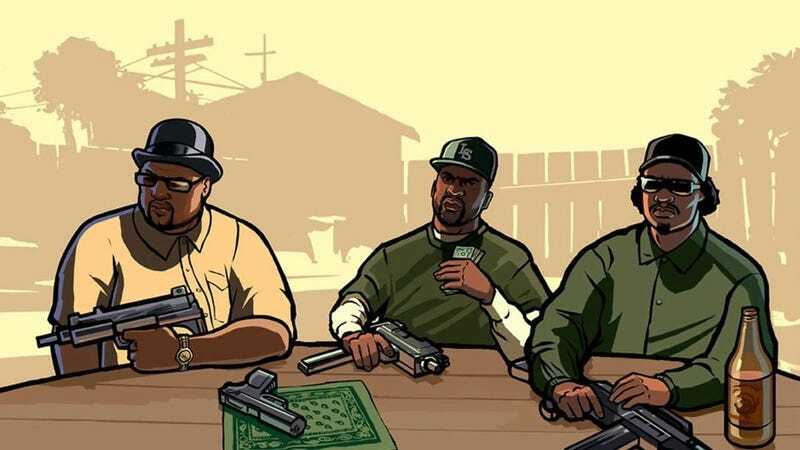 For example, if you use a cheat code to recruit anyone as a gang member and then start a gang war, those members will attack the player and make the event much harder to complete. A more explosive effect can occur if a player enters in the popular “$250,000, Full Health, and Full Armor” cheat code during the mission Just Business. Doing this will blow up the motorcycle you are riding, causing you to fail the mission. Other codes can leave cars hanging in the air or trap C.J. in vehicles. You can even crash the game if you spawn a jetpack in just the right spot using the jetpack code. If you Google the issue with Mad Dogg or similar cheat related problems, you will find old forum posts from back in 2004 and 2005 of players complaining about this problem. You’ll also see folks suggesting that the reason the glitch occurred was that someone activated too many cheats, which was a common belief for a long time. In fact, even today many folks still think this is what caused the mission to break. The theory some had was that Rockstar had implemented an anti-cheating punishment into the game. Of course, this wasn’t the case but the myth lives on. Even that GTA Boom website incorrectly shares this myth. So, if you remember getting stuck during a certain mission in Grand Theft Auto San Andreas you might have accidentally cheated your way into an impossible or broken mission. All You Had To Do Was Click The Damn Links, CJ! Want to Turn San Andreas Into Your Own Private Gotham? There&apos;s a Mod For That.